One of the reasons I enjoy conventions so much is that you never quite know what you’re going to find there. Sure, there are the big releases. 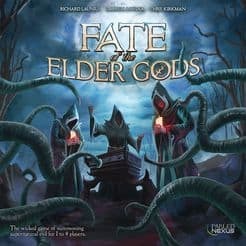 The hot new games that hit the hotness list on BGG and the convention preview geeklists. I am fully aware of those games, eager to hunt them down, and usually find a copy or have demoed it by the end of the con. But it’s the oddballs and hidden gems that really excite me, which is exactly what we found this summer in Killer Snails. 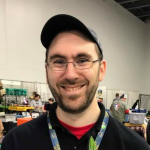 Nestled in the back corners of both the Origins and Gen Con Exhibit Halls, the Killer Snails team brought with them a game about venomous marine snails. And while that may not sound particularly exciting, the reality is that these snails are terrifying. The short demo video playing on their iPad made sure I walked away with a healthy respect for what one of these seemingly inactive little guys could do to its dinner. What Are These Killer Snails? 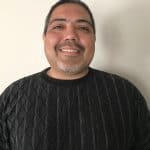 Developed by a team of game designers and scientists, and based on the research of Mandë Holford, a professor at Hunter College in NYC and on appointment at the American Museum of Natural History, Killer Snails has a strong academic pedigree. 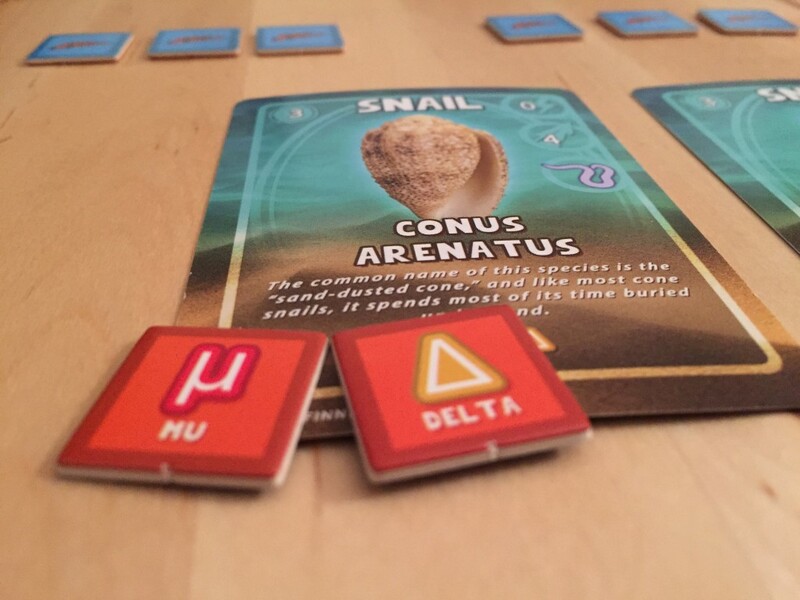 This isn’t just a deck building game about snails. It is a reenactment of the scientific research and exploration that goes into finding, studying, and analyzing these creatures – which just so happen to contain one of the strongest venoms in the world and are being studied carefully for potential medicinal use. 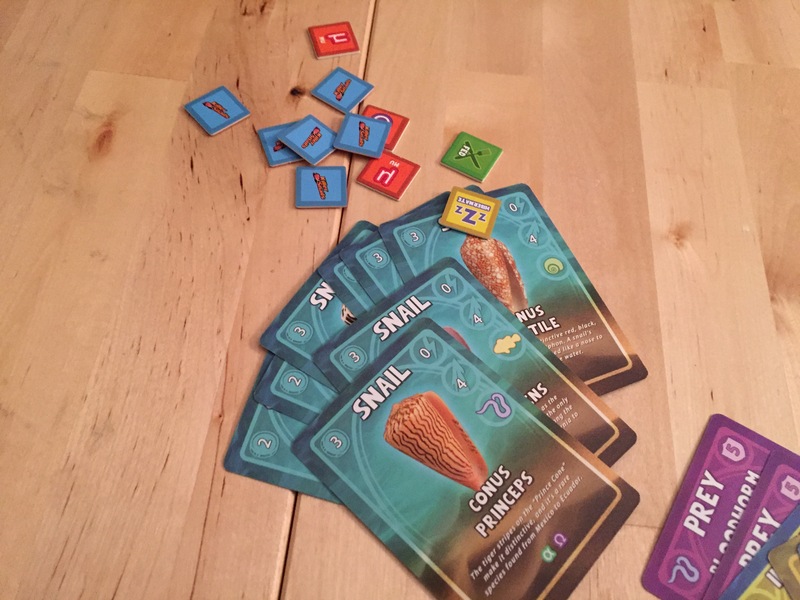 Playing through the game, each player will work to feed their snails – a process that requires matching food types with the different types of food eaten by each snail. A set of hidden information will sit in the center of the table between the players. These enzymes must be uncovered (or peeked at) and matched to the enzymes that each player will be extracting from their own snails over the course of the game. At the same time, players can actively interrupt the progress of their opponents, forcing their snails to hibernate, taking their cards, forcing them to discard, and at times even making them swap out or discard their snails. It can be a brutal game with the right combination of cards, all while trying to uncover the information needed to actually win. Killer Snails sets out to be two things – an educational resource for teachers, students, and anyone interested in these creatures. 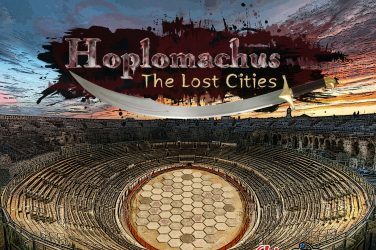 At the same time, it is a game – one based on a popular mechanic that is typically only found in hobby strategy board games. 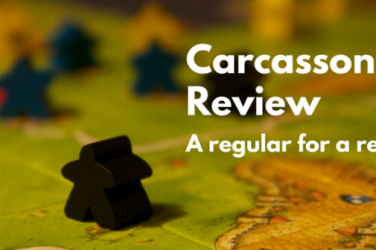 This is not a mass market-style board game, and that is evident the first time you play. 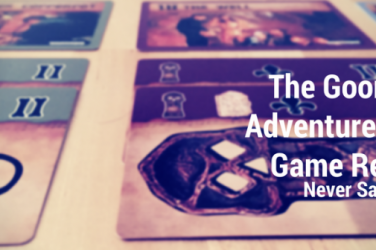 The game is a bit longer than you might expect for something with an educational focus, and the mechanics are decently complex, forcing players to track hidden information, opponent hand strength, and their own cards. 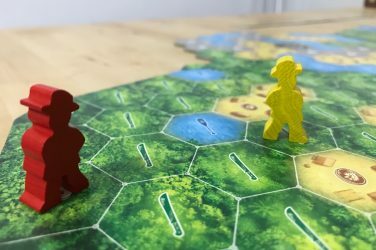 And while there is some evidence that this is a first time game that could have used some further development in areas streamline some of the mechanics – especially the hidden information components – overall the game surprised me several times with its succinct and effective pairing of these mechanics. The hunt for enzymes in particular works well alongside the deck building mechanics. While not the best deck builder I’ve ever played, it is a solid implementation for a first time design team. What really makes this an interesting game though is the level of detail on these creatures – what they eat, how they are studied, and the process of extracting enzymes that might benefit society in the near future. 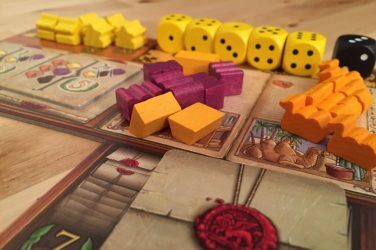 Thematically, the game works well because of it. The game at first glance doesn’t look like much. Graphic design is at times busy, overly bright, and reliant on photographs of the snails, fish, and scientific equipment involved in the research. 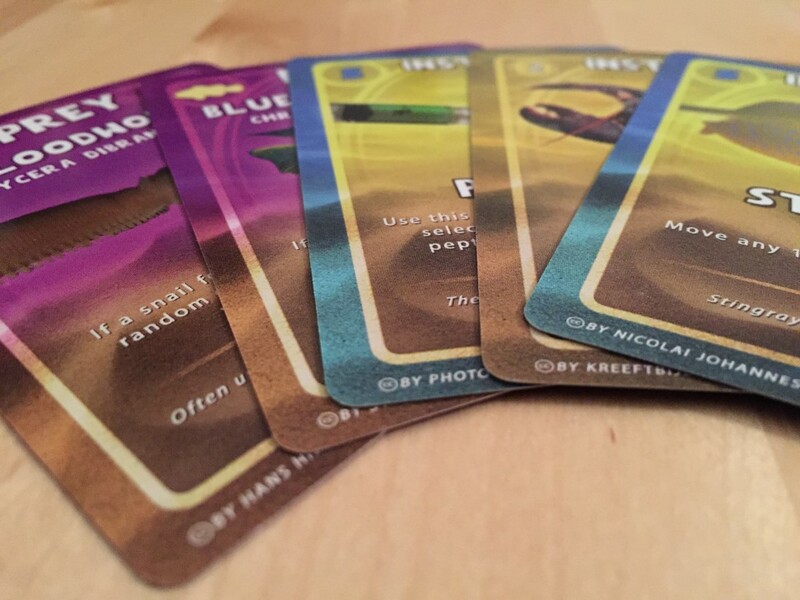 By eschewing artwork, using a very basic color scheme, and printing many of the requirements on each card with small symbols, the game can take a bit of extra time to learn as players learn their way around those cards. And while the game is strong in terms of theme, it can be a bit too complex (and mean) for smaller children. This is a game I will likely introduce to my son, but not for several years because the combination of mechanics and “take that” built into the game would almost certainly cause frustration. 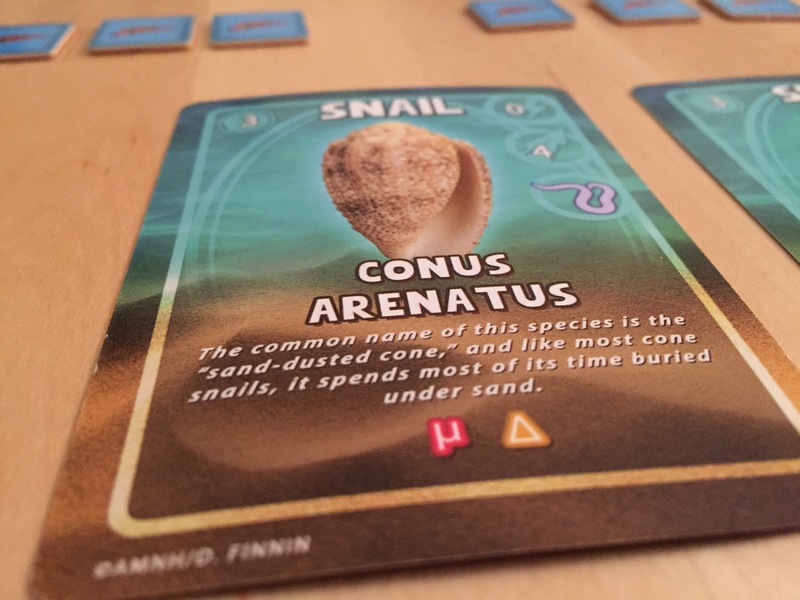 Killer Snails is an interesting, educationally fulfilling deck builder that, while at times rough around the edges, manages to hit enough of the right points to be a welcome addition to any educational board game collection. If you are interested in marine biology, the scientific method, or just unique (and incredibly dangerous) snails, Killer Snails is a quirky little card game worth giving a shot. It’s certainly not for everyone, but it has enough charm and substance to be worth a play with your older school age children or scientist friends. A review copy of Killer Snails was provided by the publisher. Killer Snails isn't a perfect game, but it melds solid gameplay with an interesting subject with a great deal of educational depth. If this is a topic that interests you or if your children are into marine life, Killer Snails is worth a play.